After what feels like a long, drawn out past few weeks, where Leicester City have sat on the edge of unprecedented glory, the Premier League title finally ended up at the King Power Stadium, following a bad-tempered 2-2 draw between Chelsea and Spurs at Stamford Bridge. No one expected this of the Foxes. After a narrow escape from relegation last season, Leicester appointed Claudio Ranieri to try and ensure they would survive in the Premier League a little longer, but the bookies believed he would be the first manager to be sacked. 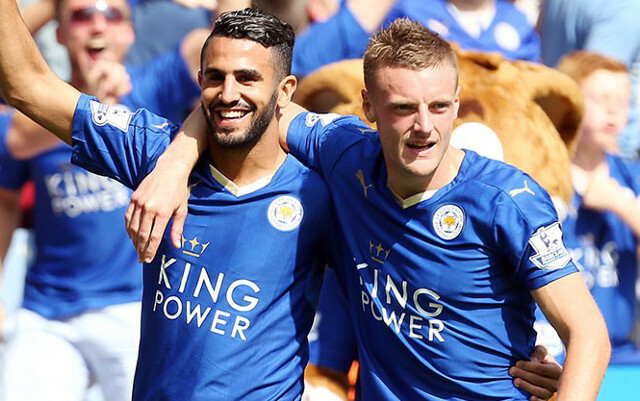 The odds of Leicester City winning the title? 5000 to 1. So, to win the title in those circumstances is beyond any words I can find to describe. Their squad cost a fraction of the teams around them, yet for all their star players, Chelsea, Manchester City, Arsenal, Tottenham, Manchester United and Liverpool all lacked the cohesion and spirit that Leicester have had in droves. Watching the celebrations among the Leicester players, it was clear this was a triumph of hard work and togetherness, on a level not seen in other squads. Every week, they were expected to drop points. The so-called experts predicted they’d start to fall away as the season wore on. Every week, they defied expectations to keep on winning, and the occasional setback did nothing except provide a platform for them to bounce off. Ranieri, often doubted, showed he could switch things around tactically, with Leicester winning matches via pacey, blitzkrieg football, via battling back when behind, and grinding out results. Different sides to their game – and their ability to win even when key players weren’t firing on all cylinders – underpinned their understanding as a team. In an era where football is dominated by big money and big egos, the sight of Leicester marching on quickly caught the imagination of the public. It’s all too easy to be cynical about life in general (let alone football), so the Foxes were a breath of fresh air. From their likeable and charming manager, to the stature of the club, their turnaround from last season and even the stories of their players, Leicester have been remarkable. In the end, every neutral was rooting for them, whilst even fans of other clubs fighting for the title won’t begrudge what Leicester have achieved. It sends a message to other players and clubs that the so-called ‘elite’ is not invincible, and that money cannot guarantee success. It emphasises the value of hard work and teamwork, something football needed to see. To be honest, this question can wait. It will pop up in the coming days and weeks, but for this moment Leicester and their fans should enjoy this. They are champions, and no one can ever take that away from them.